What is Joshua's Law in Georgia? Senate Bill 226, also known as "Joshua's Law" was passed during the year 2005 General Assembly and (which was effective from January 1,2007) requires that all 16-year olds complete 30 hour driver's education course from a Georgia DDS-approved course provider. 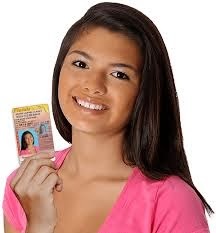 16 year also must complete a total of 40 hours of supervised driving, including 6 hour at night, with parent or guardian's before they can be eligible to apply for Class D Georgia driver's license. Georgia Drivers Ed course is entirely online, it will help you qualify for your full driving license in a fun and convenient way. This course meets all the requirements for Joshua's Law including the required 30-hour classroom training. In addition, students will need to complete 40 hours of parent driving (6 at night) and have their learners permit for a year and one day before getting their Class D license. Students must be 15-years old to take this course. The state of Georgia has very specific requirements that you must fulfill before you can get your full driver's license, but we can help make them a lot of fun. This Georgia Drivers Ed course is entirely online, which means you can work on it from any computer with an internet connection. This gives you the freedom and flexibility that you need and makes sure that you don't have to waste your free time sitting in a boring classroom. You can get your instructional permit when you are 15 years old, but you must hold it for 12 full months before you can get your intermediate license at the age of 16. This online GA Drivers Ed course is DDS approved in your state to satisfy the Joshua Law requirements, so it will help you qualify for your full driving license in a fun and convenient way. Since this Georgia Drivers Ed course is all on the web, there is no teacher there to shout out orders. You know what works for you and your schedule better than anyone else, so it makes sense to let you decided when and where you work on the course. There are eight fun-filled units in this Georgia Drivers Ed course and you can log in and out of them as much as you want. This way you can work on the GA Drivers Ed course in multiple sessions and take breaks anytime you want. There is no minimum or maximum amount of time you must spend one each work session, so how long you spend on it is totally in your hands. Getting your driver's license can be expensive, so we make sure this Georgia Drivers Ed course is not. The course price includes everything you need, so there are no hidden fees that will pop up later. You can even start the course now and pay for it later, if that is more convenient for you.